Good governance, opportunities for young people, and winning the campaign against the “exploiters, liars and criminals” who are twisting “a great religion”. 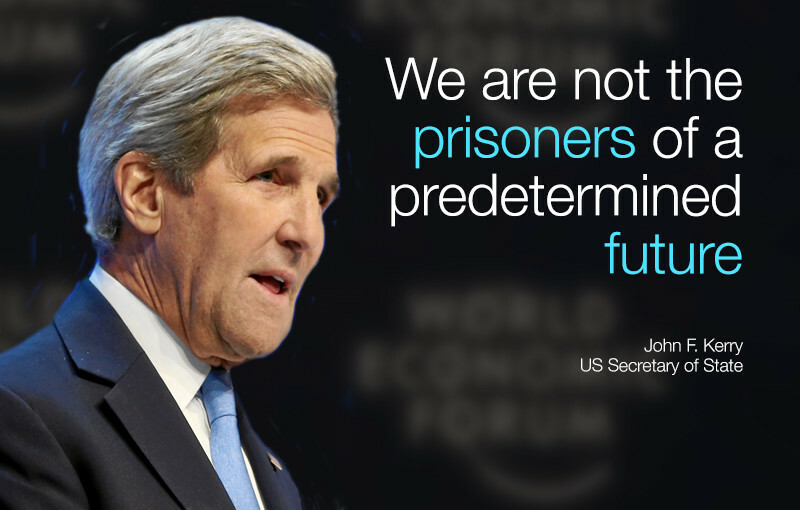 These are the three pressing issues we must tackle now for a better future, according to US Secretary of State John Kerry, who addressed participants at Davos on Thursday. All three challenges are connected. 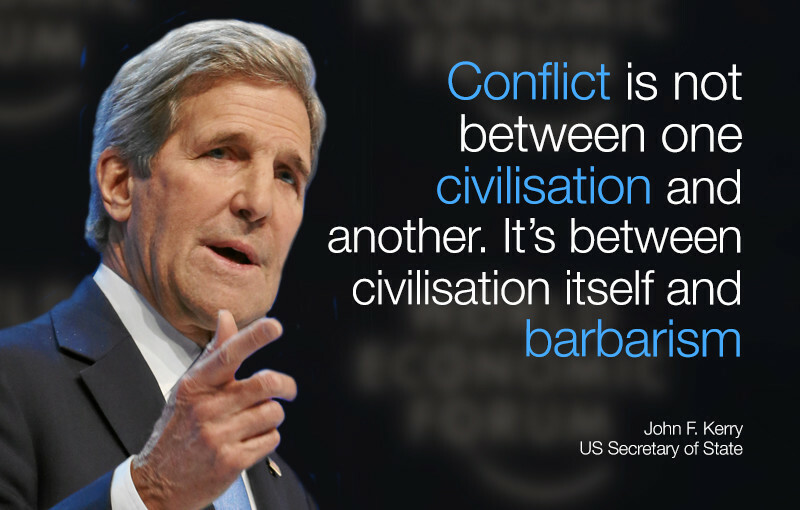 First of all, “extremism often finds nourishment where leadership is fragile,” Kerry said. Only better governance can rout the scourge of corruption, which costs the global economy $2.6 trillion, blights job prospects and “opens up a vacuum that allows the predators to move in”. He called on business leaders to “demand accountability” from their counterparts in government, highlighting the links between corruption and unrest in countries including Libya, Yemen, Burundi and Iraq. Third, we must win the campaign against extremism, Kerry said. We should neither resign ourselves to a world where today’s violence and conflict are seen as “the new normal”, nor over-react and “define our adversaries so broadly” that our actions backfire. He spoke of how people around the world had defied extremists’ attempts to exploit divisions, from Muslim passengers donating headscarves to stop non-Muslims being targeted after al-Shabaab militants stormed a bus in Kenya, to Muslims taking to Twitter to mock a call for ISIS recruits, saying that they would rather “watch Star Wars” or be “part of a civilized society”. Beyond resisting divisions, “Nothing would do more to terminate Daesh (ISIS) than an end to the war in Syria,” he said, and “we’ve taken important first steps”. Ending the war was a priority for "every government in the region", he added – no matter how much they disagreed.